Prime Minister Narendra Modi on Friday lashed out at the Congress after a close aide of Rahul Gandhi appeared to question the decision to launch air strikes inside Pakistan after the Pulwama terror attack. Using a hashtag #JantaMaafNahiKaregi, Modi also wrote, “Opposition insults our forces time and again. I appeal to my fellow Indians- question Opposition leaders on their statements. Tell them- 130 crore Indians will not forgive or forget the Opposition for their antics. The BJP has been determined to use the issue of Pulwama terror attack and the subsequent air strikes by the Indian Air Force inside Pakistan to highlight its tough stand on cross-border terrorism. 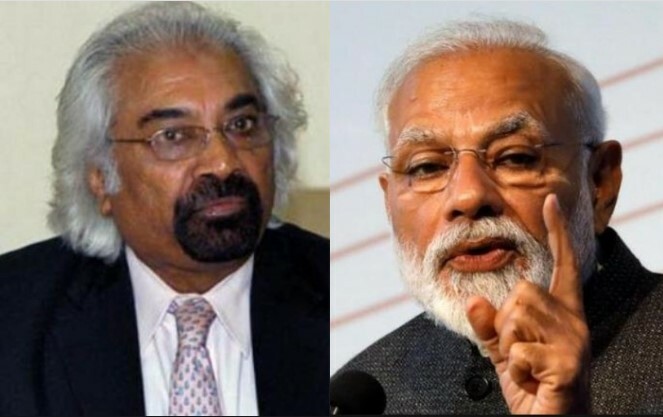 Pitroda’s interview may have given the much-needed credence to the saffron party’s claims. The Congress party is slow to react when the BJP associates it with anti-nationals. If Congress release the pictures of PM Modi taking blessings of former Prime Minister of Pakistan during his daughter wedding, the equation will change. The party should seriously question the meeting of Ramdev aide Vaidik with India’s most wanted terrorist Hafiz Saeed in Pakistan. If the party release the picture of Vaidik with Ajit Doval who belongs to the same organization, the BJP will run for cover. The Congress instead of reacting to the questions of BJP should pose more questions to BJP if it ever wanted to come back in this Lok Sabha election.